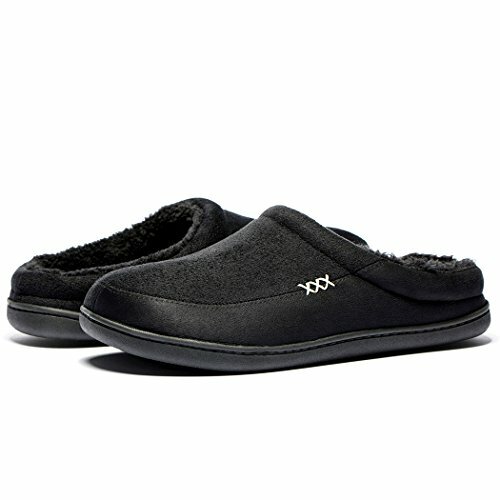 Description: NDB slipper is the slippers that you will like. These women’s slippers is a casual slipper, you can wear them both indoor and outdoor. The memory foam insole makes these slippers soft and flexible, let your every step like walking on the cloud. 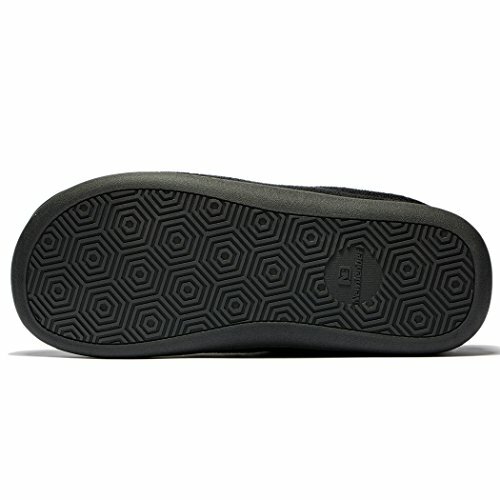 The durable rubber sole makes sure the sole is easy to bent and curled and also provides excellent traction and stability for all surfaces and terrains. 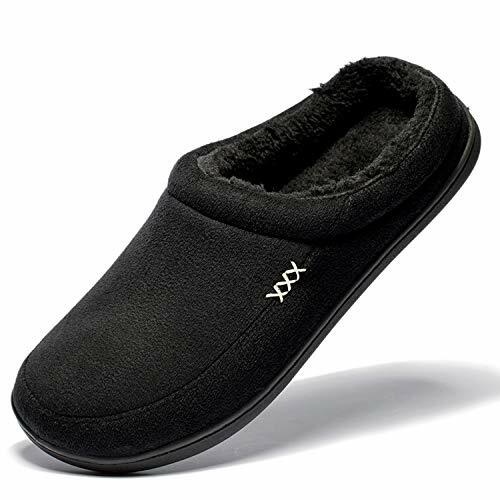 Easy slip on style with a cozy fleece heel collar make these slippers to be a good option as house slippers, bedroom slippers, winter slippers and indoor outdoor slippers for your daily wear. *Soft and Flexible: The memory foam insole makes these slippers soft and flexible. *Customized Fit: The cozy fleece heel collar and synthetic suede upper will mold to your feet and provide a customized fit for you. *Warm and Comfy: The excellent and soft plush fleece lining provide you next-to-skin comfort to keep you warm and comfy. The High-quality synthetic skin suede is around the slipper which increases durability of the slipper. Easy slip on style and non- slip rubber sole make these slippers to be a good option as house slippers and indoor outdoor slippers. 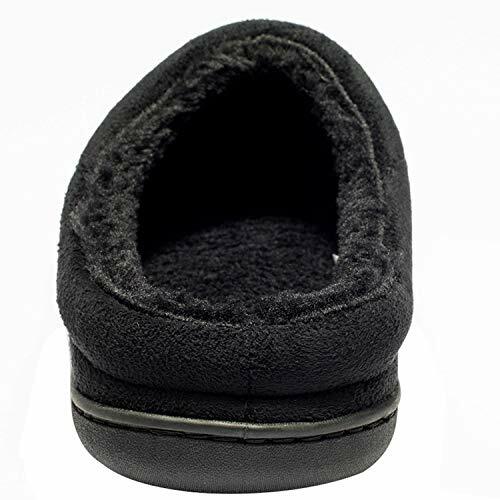 The synthetic skin suede is around the slipper prevents water and dampness from absorbing into slippers. They are both hand and machine washable (Machine wash with a laundry bag). With NDB, you’re taking no risk with your purchase. We offer 100% no risk money-back guarantee. ★ULTIMATE COMFORT – The memory foam insole makes these slippers soft and flexible, let your every step like walking on the cloud. Moreover; the cozy heel collar and synthetic suede upper will mold to your feet and provide a customized fit for you. 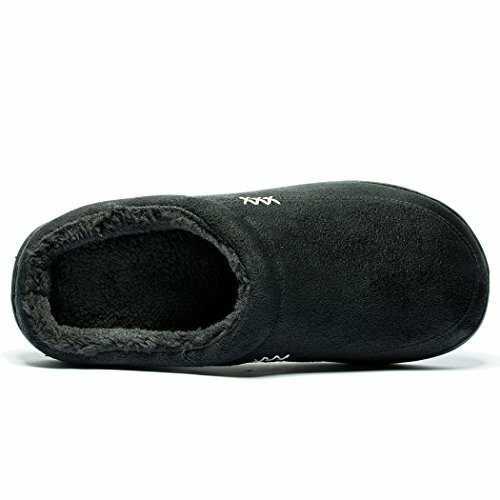 The excellent and soft plush fleece lining provide you next-to-skin comfort to keep you warm and comfy., ★HIGH QUALITY & EXCELLENT TRACTION: The High-quality synthetic skin suede is around the slipper which both increases durability of the slipper and also prevents water and dampness from absorbing into slippers. 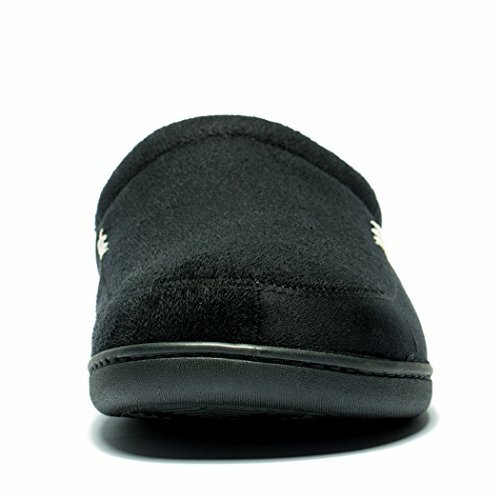 The durable non slip rubber sole provides excellent traction and stability for all surfaces and terrains., ★ALL-PURPOSE & EASY MAINTENANCE: Easy slip on style with a cozy fleece heel collar and durable non slip rubber sole make these slippers to be a good option as house slippers, bedroom slippers, winter slippers and indoor outdoor slippers for your daily wear. Moreover, They are both hand and machine washable(Machine wash with a laundry bag)., ★SATISFACTION GUARANTEE: With NDB, you’re taking no risk with your purchase. We offer 100% no risk money-back guarantee., ★NEW SELECTION: ★ Searching: NDB Men’s Cozy Memory Foam Slippers ★ Limit Stocks On Sales.